THE contribution of the Chinese economy to the world is mainly reflected in products "Made in China". 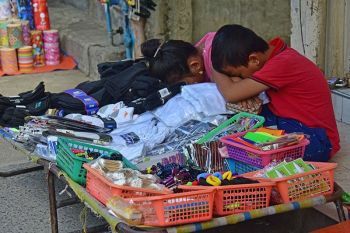 But in the Philippines, particularly in Cebu, the label extends beyond the products peddled on the streets or on display in malls. Filipinos of Chinese descent have created a strong and active community in Cebu whose influence extends from entrepreneurship to nation-building through numerous socio-civic activities. “One big economic contribution of the Filipino-Chinese community is employment generation,” said Carlos Co, president of the Mandaue Filipino-Chinese Chamber of Commerce. He said a lot of businesses operating in Cebu are owned by Filipinos of Chinese descent. He said they practically have stakes in almost all types of industries whether big or small. In Cebu City's downtown area, 90 percent of the businesses are run by Chinese-Filipino families, said Dickson Uy Lim, director at Cebu Filipino Chinese Chamber and the Cebu Lim's Family Association. “We are your go-to stores when you need affordable plastic ware, among others. So we are kind of involved in the daily life of every Filipino,” said Lim, whose family owns Cebu Crown Grocery, which was established in 1957. The root of Chinese influence in the Philippines dates back long before the archipelago was colonized by Spain, when Chinese ceramics and silk were traded for Manila indigo, Sulu pearls and Cebu cotton. Retailer Robert Go said the economic contribution of the Chinese-Filipino community in Cebu was immense as reflected by the giant malls, factories and other big investments going up in the metro. “We are known to be resourceful, hardworking and we are good in handling money,” Lim said, pointing out that progressive cities in the country were usually those that had a strong Chinese-Filipino community. “Entrepreneurship is already in our blood,” he said. Being a member of the minority, Filipino-Chinese families worked hard and were forced to be resourceful. But with most of them having excelled in their ventures, the Cebu Chinese-Filipino community now pursues advocacies that help build a solid and productive nation. Because of their number and influence, the Chinese-Filipino community has collaborated with various sectors in the areas of education, health and disaster response, among others. According to Co, their outreach programs include feeding programs in schools, teaching catechism, and awarding scholarship grants to deserving less fortunate students. 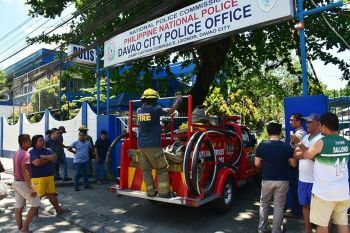 Go, who is also member of the board of Mandaue Filipino-Chinese Chamber, pointed out the success of the Cebu Filipino-Chinese Volunteer Fire Brigade. “In the early 1960s, majority of Filipino-Chinese lived in downtown and near (the) Carbon market. When there were fire occurrences, we were always on the run. 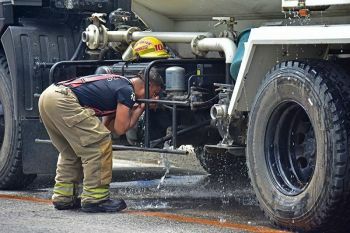 We decided (those in downtown) to buy fire tucks and parked them in front of the street so we could be protected,” Go said, adding that the initiative to help a small community had grown to help the whole community of Cebu. Another successful undertaking was the Chong Hua Hospital, which was started by Chinese-Filipino businessmen. Back then, Go said, there was no private hospital to take care of the sick, only government-run facilities. Chong Hua today has grown to become not just a hospital exclusive to their community but it also accepts patients from all over the Visayas and Mindanao, he said. He said the Chinese-Filipino community was also instrumental in forming the Sinulog foundation, which had been responsible for the week-long Sinulog celebration. Moreover, the community is also active in pushing for quality education. Co believes education is the only way that can help a poor Filipino rise from poverty and get equal opportunities in life. Go said members of their community have donated public school buildings around Cebu. “In fact, every year there are new public schools being donated. We want the future Filipinos to be educated so they can move out of poverty,” he said. Education was one advocacy they were willing to partner with local government units (LGUs) and other organizations to come up with sustainable programs, Co said. He believes it can help the province produce a highly qualified and skilled work force. Education can also keep the youth out of illegal drugs and other criminal activities. Go said they have high hopes and big dreams for Cebu. But Go admitted achieving these would entail a lot of hard work and cooperation among all sectors. Lim said the government and the community should work together to improve and maintain peace and order so businesses can thrive. He also called for unity among all sectors. “Personally, the killing incidents are already alarming. We want to live and do business in a safe environment,” he said. “We want to move around without fear,” Go added. Go said they’d also like LGUs to be open-minded when it came to new businesses or investments. “We like the LGUs to support our initiatives to alleviate poverty and to upgrade the livelihood of the people,” he said. The Chinese-Filipino community, according to Lim, has long been part of the fabric of Cebu’s society. “It isn’t just all about the money, but the pursuit of advocacies that will benefit everyone,” he said. For Cebu City Mayor Tomas Osmeña, the Chinese-Filipino community's biggest contribution is trade and commerce. He said the Philippines become a center of commerce in the south even during the pre-colonial period because the Chinese were already trading with Filipinos. "The Spanish did not allow the Chinese to own land so farming was not an option. So the Chinese, which were already trading with Cebu even before (Ferdinand) Magellan landed, mastered trading so well Cebu became the center of services in southern Philippines. Banking, shipping, education, legal, and even tourism prospered," Osmeña said. The mayor said Chinese-Filipino families continued to control commodities, such as rice, corn, sugar, dried fish, even onions and fruits. "The central symbol of Chinese economic dominance is the Carbon market. Inside all those dilapidated stalls, billions of pesos change hands weekly. That's why there is no Chinatown in Cebu. It's the whole city!" Osmeña said. At the Provincial Capitol, Gov. Hilario Davide III said Cebuanos shared a deep cultural connection with the Chinese.